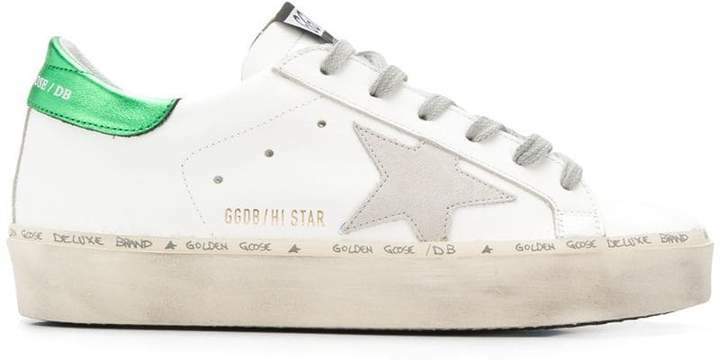 Outsiders to the world of fashion, Francesca Rinaldo and Alessandro Gallo have merged their creative spirit with their passion for fashion to create the Italian label Golden Goose Deluxe Brand. 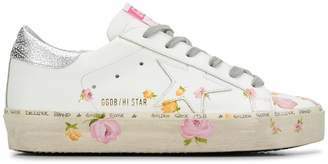 Since then, they have presented us with innovative and modern designs - from distressed sneakers to graphic prints - that have established them as one of fashion’s biggest names. 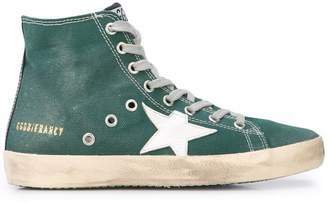 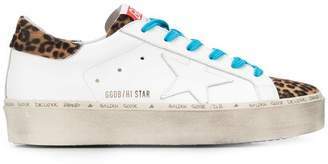 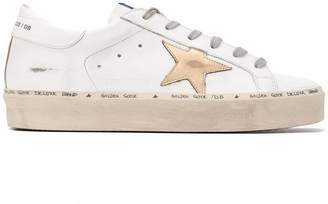 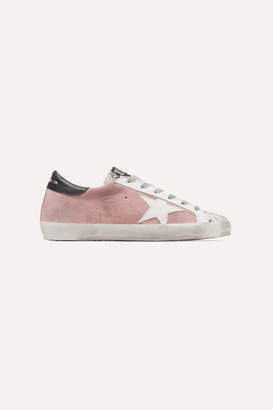 These white leather and cotton Hi Star sneakers from Golden Goose Deluxe Brand feature a round toe, a lace-up front fastening, a logo patch at the tongue, a branded insole, a signature star patch to the side, a branded heel counter and a flat rubber sole.